Let’s keep this party going. Off a 3-0 week, I’m pumped for the slate of games this week. This is posting early in the week so the lines can, and probably will change. This just feels like a spot where the Chiefs might struggle at home. 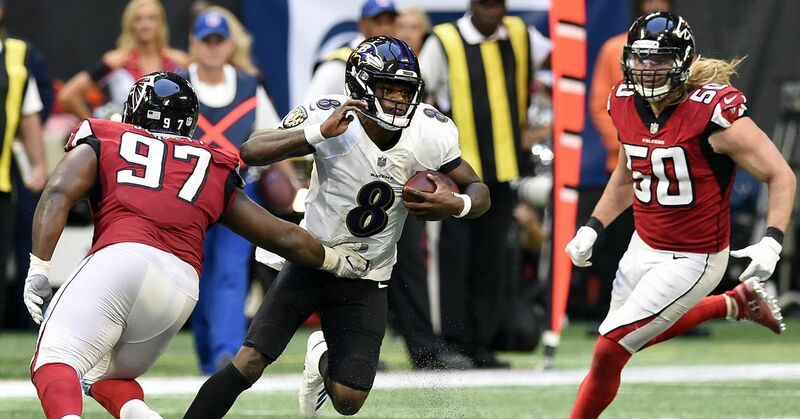 The Ravens have rushed for over 200 yards the last three weekends with Lamar Jackson at the helm of the offense. Now, those games have been against the Falcons, Bengals and Raiders. All three of those run defenses aren’t very good, but guess what, neither is the Chiefs. Entering the weekend, they were 32nd, and by a wide margin, in rushing defense according to Football Outsiders. When teams run the ball, they limit the opportunities for Pat Mahomes and the highly explosive Chiefs offense. And when the Chiefs have the ball, the Ravens defense can offer some resistance. They entered the weekend fourth overall in DVOA on defense and held the Falcons offense, which is good at home, to 16 points and 131 total yards. So give me the Ravens with their run game and their defense, plus all the points. The Panthers are totally reeling right now. They started the season 6-2 and have lost four in a row. I highlighted much of their issues last week in this column and guess what, the same issues still exist, and now without Greg Olsen. The Panthers are just awful on the road. They are 1-5 on the road and also 1-5 against the spread. They seem lost at the moment. Ron Rivera is under fire and just fired some assistant coaches to hopefully stop the bleeding. The Panthers just aren’t in a good place right now. The Browns played well under Gregg Williams before running into the Texans. Last weekend was rough and I expect a bounce back from the Browns this weekend. Baker Mayfield isn’t playing the Texans defense. The Panthers are 27th in total defense and 28th against the pass according to Football Outsiders. The Browns will move the ball at will against the Panthers. I don’t think the Lions should be a favorite on the road. This line will probably get to 3 or 3.5, and it would be ideal to grab it there. The Lions are 4-8 and the Cardinals are 3-9. Not much difference in these teams, so give me the home dog off a big victory Sunday in Green Bay. The Lions have been a wreck on offense recently, with poor performances against the Bears and Rams, both at home. Their defense hasn’t been much better, coming in at 29th. The Cardinals are a disaster on offense, but their defense has slowly improved. This line hasn’t been posted yet but when it does, take it. Jeff Driskel on the road without AJ Green. Yea, they aren’t scoring much against the Chargers.